The airplane's about to laaaaaand! No matter what you do, feeding your picky eater is something you are really not looking forward to every meal time. Have you ever wondered how your little one ended up becoming such a picky eater? In the beginning, you were so excited to feed your baby new foods like avocados and bananas and even have that occasional trick with a slice of lemon. But, your little one is bigger now and is completely capable of making decisions on his/her own—and most of them are 'No, I don't want!' (sigh). Well, as much as you want to make your little one eat your prepared healthy meal plan for toddlers, you will really be able to trick him into eating food that they don't even want to try. Here, we are going to talk about meal plans for toddlers, food ideas for picky eaters, and what's great for your kids and how to actually make them eat these types of food no matter how picky they may seem at first. Eggs. Packed with protein, Vitamin D, and minerals, eggs are one of the healthiest foods for anyone. Whether you are a child or an adult, egg adds great strength and weight in your tummy giving you a boost of power and energy. Oatmeal. Rich in fiber, oatmeal does really well in letting your child have a good and healthy digestive tract. This is also a great source of energy since it powers your little one's body with a steady supply of energy. Milk and Yogurt. Dairy should never be a miss. With your growing child, s/he needs a massive supply of calcium. Dairy products are rich in calcium making your little one have stronger bones and muscles. Spices. You may not know it but spices are packed with tons of vitamins and minerals. Basil is super rich in vitamins (A, C, and K) and minerals (iron, potassium, and calcium). Cinnamon, one of our favorites, is really great for the blood; even mommy and daddy can definitely benefit from cinnamon. All the spices you use in cooking like tarragon, thyme, and oregano are actually healthy herbs that are used in some communities as herbal medication for various illnesses. Not only are they great for cooking but they are super great for your little one's health too. Nuts and Legumes. These are great sources of healthy fats. Nuts are good for the blood and the heart while legumes are super rich in protein and fibers. Berries. Blueberries are among the highest listed superfoods that are great for kids and adults. Plus, they taste great and go with practically everything! Blueberries are listed as one of the foods with the highest levels of antioxidants. Other berries have them too but not as much as blueberries. Tomatoes are also berries—if you didn't know that—which are rich in lycopene, a great substance that battles cancer. Some other super foods great for your kids are salmon, cabbage, cocoa, and definitely all types of fruits. Maybe your kids like some of them but trying to give them all these superfoods is really difficult. Here are some great toddler food ideas to make every meal special yet easy for you to make. 1. Spice things up in your kiddie meal menu! Oatmeal is dull and slimy and kind of boring. Adding a dash of flavor like cinnamon and berries and whipped cream can make it a fun breakfast. Here's a great idea for you: drop blueberries and one raspberry into the oatmeal and mix. Make sure the raspberry is cut small. Ask your child to eat the oatmeal and find a hidden treasure (raspberry), if your child finds it, you can reward your child with a great apple-strawberry smoothie. 2. Add Color to the Ordinary Breakfast Meals for Toddlers! Pancakes can be dull too. When we add toppings like whipped cream and fruits, our kids just end up licking them off. If you are making homemade pancakes, drop some apples or bananas and even mangoes in the mix and cook. The flavor of these sweet fruits adds a favorable delight to your kid's breakfast. This way, you lessen the sweet toppings and just go for an orange marmalade or even use the pancake slices as the bread for your peanut and butter jelly sandwich. 3. Go for the Odd Breakfast Menu! Dessert for breakfast. Once we think about desserts, we always go for sweet treats but it doesn't have to be like that always. Desserts are a good way of encouraging your child to help finish their meals well. Plus, it's a great morning breakfast menu toddlers will love. We recommend an Apple Crumble as part of a good breakfast meal menu. It has cinnamon, apples, oatmeal, nutmeg, and ginger. It is packed with superfoods and it is a food that your child will love. Pair your apple crisp with low-fat yogurt mixed with peaches and mangoes and your child is set for a complete picky eater meal plan. 4. Shape Shifting Breakfast Meals for picky eaters! Investing in cutters for your child is a fun treat. We love how a teddy cut-out of our typical honey almond peanut butter and banana sandwich or cream cheese and strawberry jam sandwich becomes a fun meal. Your child somehow enjoys biting off the arms, the legs and the head one at a time. Cutting out fruits and cookies and pancakes in different shapes are surprisingly very effective even if you keep that dull kiddie breakfast meal. You have picky eaters but have no time to make those fun breakfast recipes? Don't worry, even busy parents juggling work and family or even single parents can simply go for the funniest, cutest, and quirkiest bowls and plates to add to your plateware. Let your child enjoy his or her meal on a cute and fun plate set like Princess Sofia or Ben Ten or Spongebob! There's a whole huge list of characters your kids will love. Packing up a great lunchbox meal can be a tall order for a busy parent. 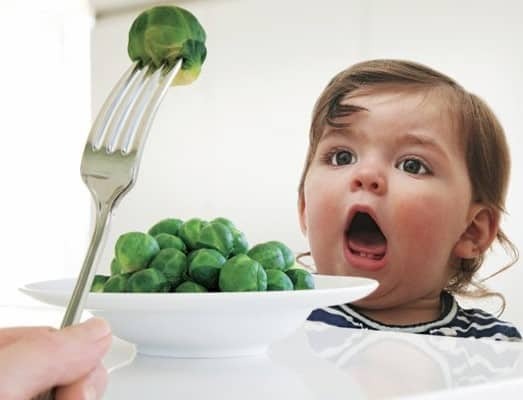 But did you know that your child would most likely have more heightened sensory senses, making your toddler a really picky eater? Introducing new food in cool ways would make your child feel less panicky about actually trying new food. So, try to play a game with your child. If your child prefers Froot Loops over everything, then go and try adding bits of carrots, red beets, corn and mix it up. You don't have to wait for your child to start using awesome lunch boxes. You actually need them whenever you go out since your child always needs nutrition and a power pack. So make it happen. One of the best things that actually made kids enjoy their meals is by letting them make their lunch with you—and as you pack their lunches, you add bits of new food into the existing all-time favorites. Happiness is definitely homemade rather than just being store bought sweet snacks packed with MSG and preservatives. That's why we recommend bento boxes! You can also try something we call 'keep an eye on the prize'. Literally, put the prize in front of your child. Tell her to finish every bit of food on her plate before she gets her prize—mostly desserts like ice cream or pie or her favorite treat. And be stern; don't let your child touch the prize or even get it if they don't finish their food. Looking at a goal is something that will totally encourage your child to feel accomplished in eating something she doesn't want to eat and she gets a prize for it. One of the things most people enjoy is eating finger foods. And that's actually how we often start feeding our kids, slicing everything to cute bite sized treats. But finger foods can be more enjoyable when we start adding our cooking skills. Don't worry; you don't really have to be the best cook to do simple finger food for your toddler. When we talk about finger food, we initially think of toothpicks or tiny forks but for your picky toddler, let's talk about pinwheels. 5. Pies, Cakes, and Ice Creams? Just because pies, cakes, and ice creams are meant to be sweet, doesn't mean you should always make it sweet. Making fruit rich pies like apple cinnamon pies are good for your kids. Cakes can definitely be a sweet haven but changing to cheesecake tops with a variety of fruits and veggies are great options. It is a new take on something kids love already. You have to reduce the sugar on these cakes though. And instead of buying ice cream, make your own popsicles using greek yogurt with fruits, or leftover fruit smoothie popsicle. You don't always have to rely on your kids eating too much junk food or sweet foods. Once they don't get what they want, they throw temper tantrums, right? To avoid them from eating junk, stop buying junk foods completely even if you're tempted. In dealing with your picky eater, you have to be stern and you should discipline your toddler. However, in times when your child ends up in a hunger strike—which some can really do—you can simply trick your child into eating healthy food without them realizing it. Toddler food can be fun and can be healthy at the same time, so stop filling your grocery cart with store bought snacks and sweet treats for your child. Go ahead and fill it with tons of healthy toddler food and be creative in making the next meal plan for toddlers! That's all you need to make great toddler food ideas!